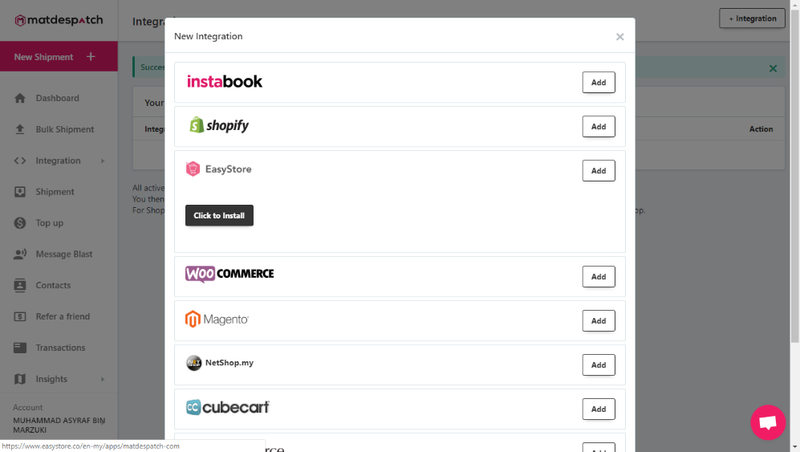 Select Integration > Setup from left navigation bar. Click on the + Integration button on the top right corner. 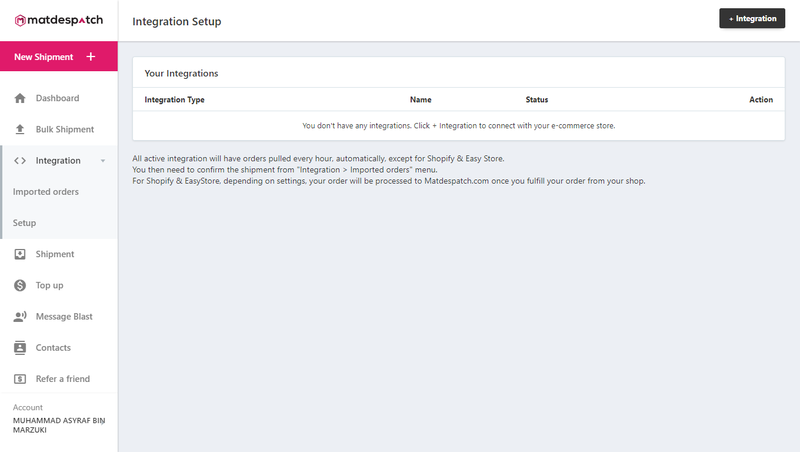 Select EasyStore from the New Integration list and click Add button. 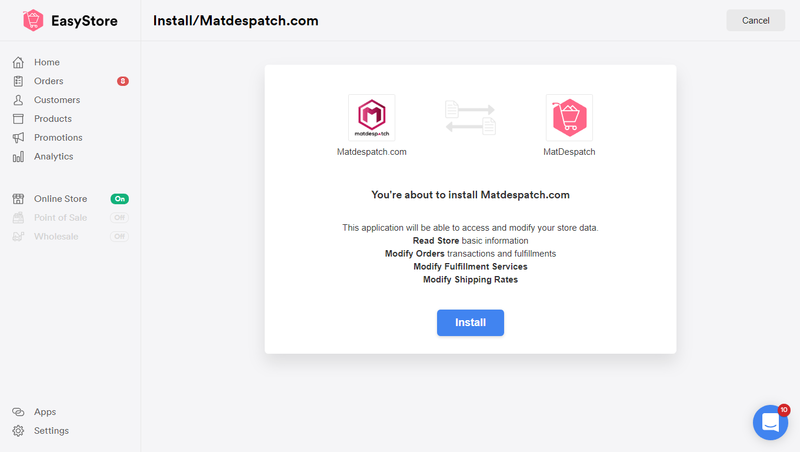 Click the Click to Install button in order to connect EasyStore with Matdespatch.com. You will then be redirected to EasyStore web page. Proceed by clicking on the Install this app button. 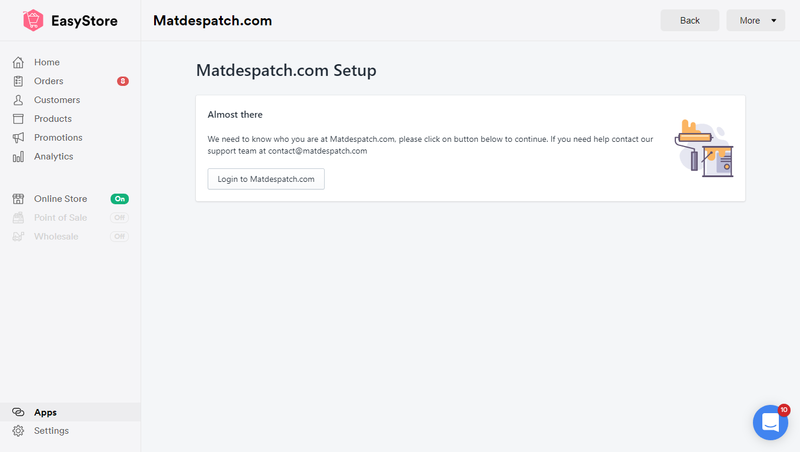 Then, click on the Login to Matdespatch.com button in order to connect EasyStore with Matdespatch.com. 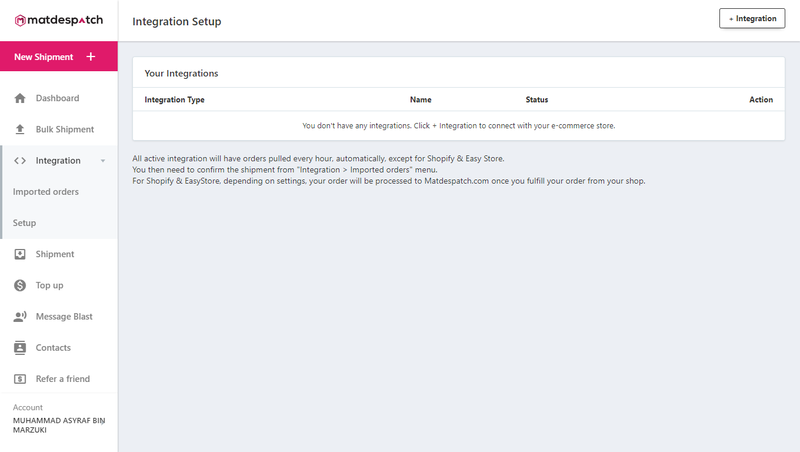 In the Fulfillment Settings section, you will be able to choose between 2 type of Integration Mode. Automatic and Manual mode. 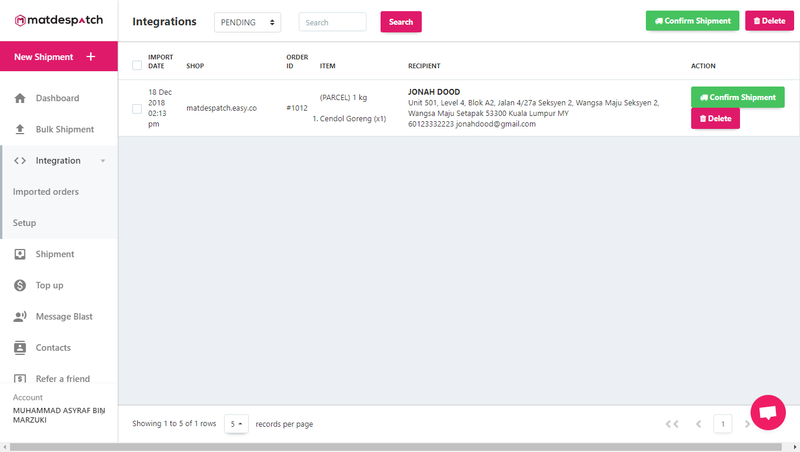 Automatic integration will create shipment immediately after you’ve fulfilled your order. 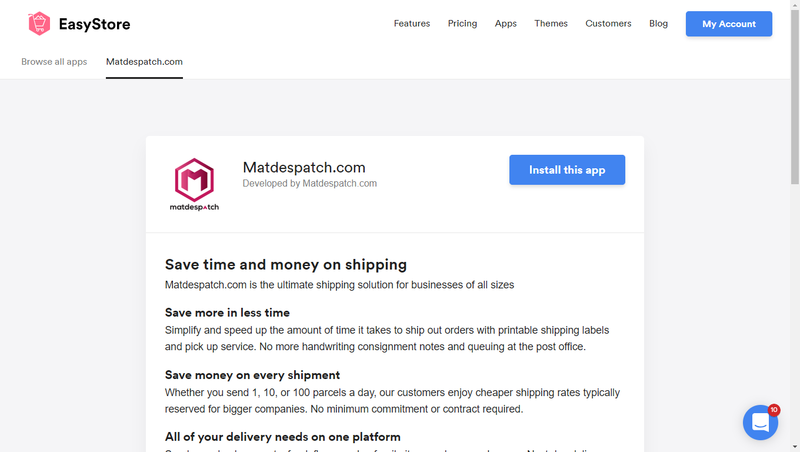 While Manual integration, you have to process shipment manually. 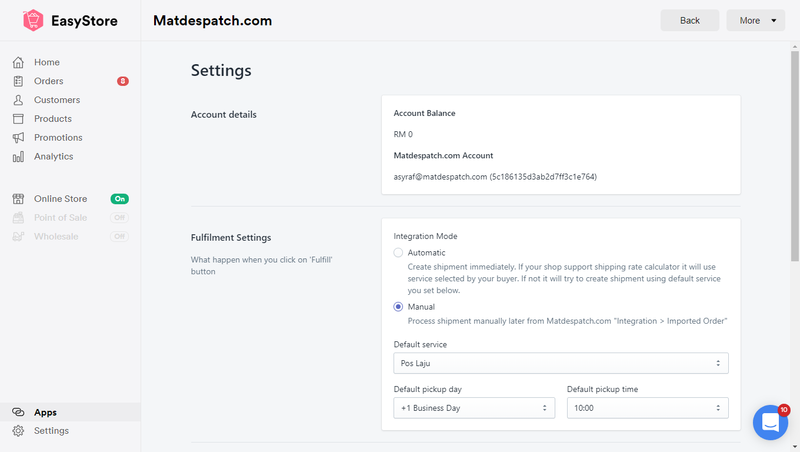 You will be able to manage the process from Integration > Imported Orders section in Matdespatch.com. 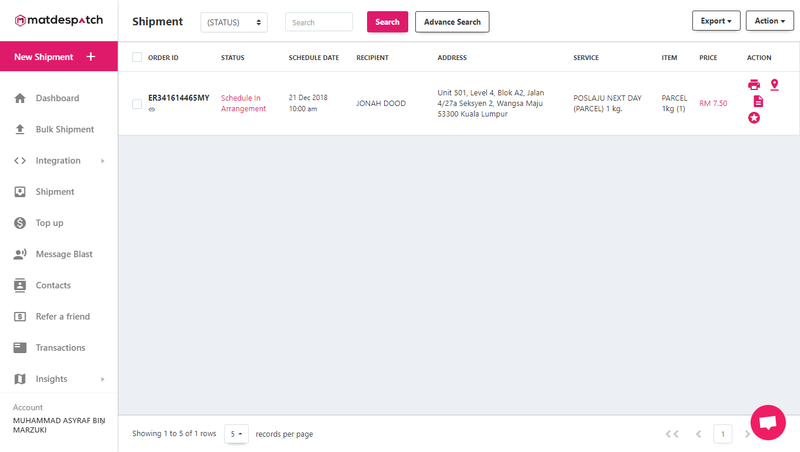 After all the details have been filled in, click on the Save button. Go to the Orders page. Select any order that you want to fulfill. 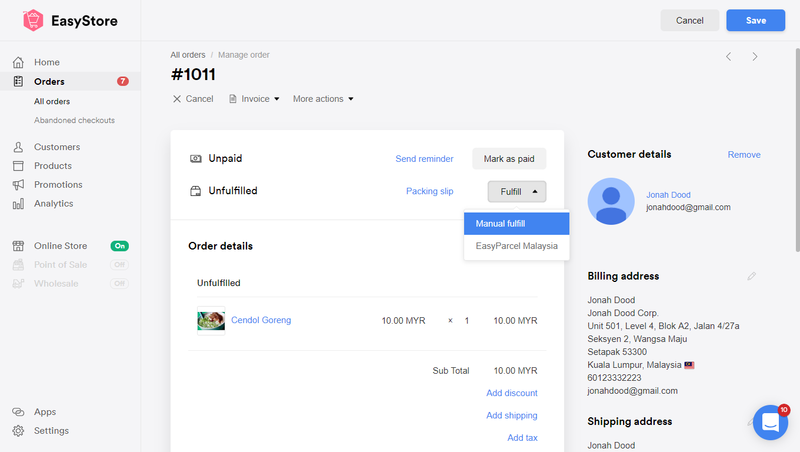 In order details page, select the Fulfill drop down menu and choose Manual Fulfill in order to fulfil an order. 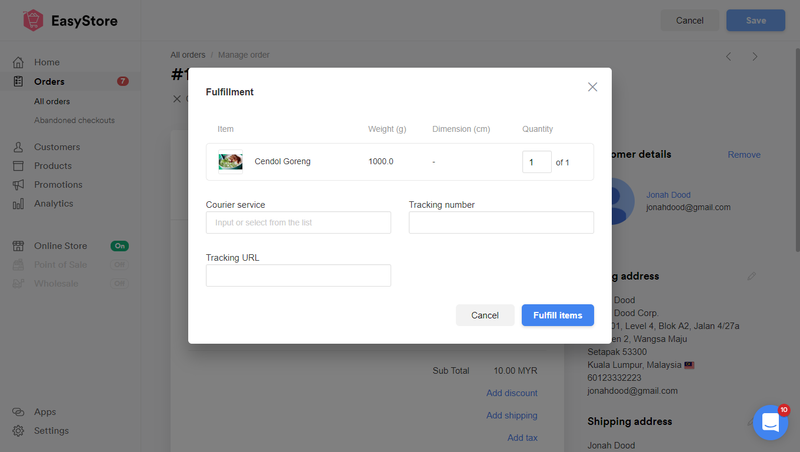 Click on the Fulfill Items button to confirm the order fulfillment. 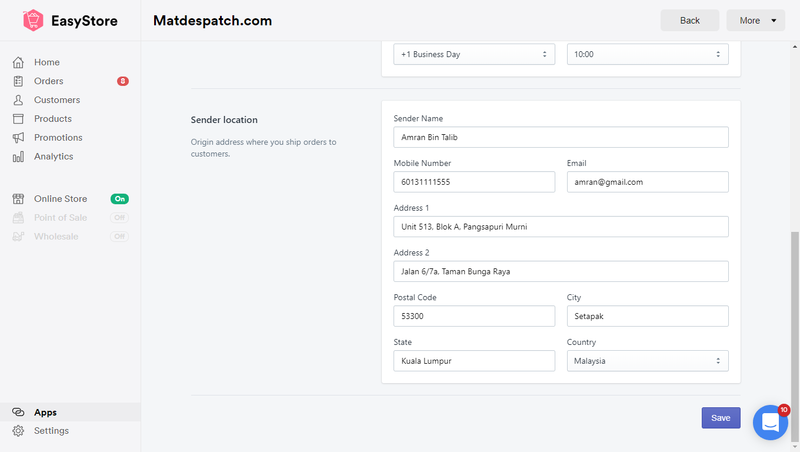 Leave courier service, tracking number, and tracking url field empty. This will be fill in by Matdespatch.com later. 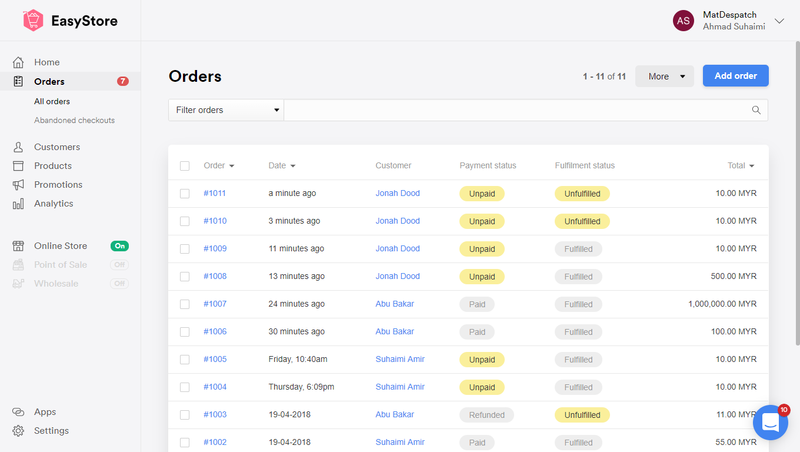 After order have been fulfilled, order status will change to Fulfilled. 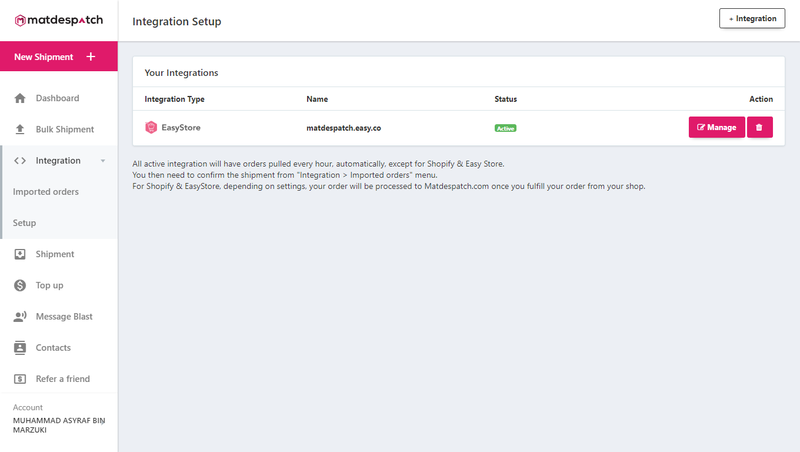 If you choose Automatic integration in the EasyStore Integration settings, your shipment will be created immediately, it will appear under Shipment page in Matdespatch.com. 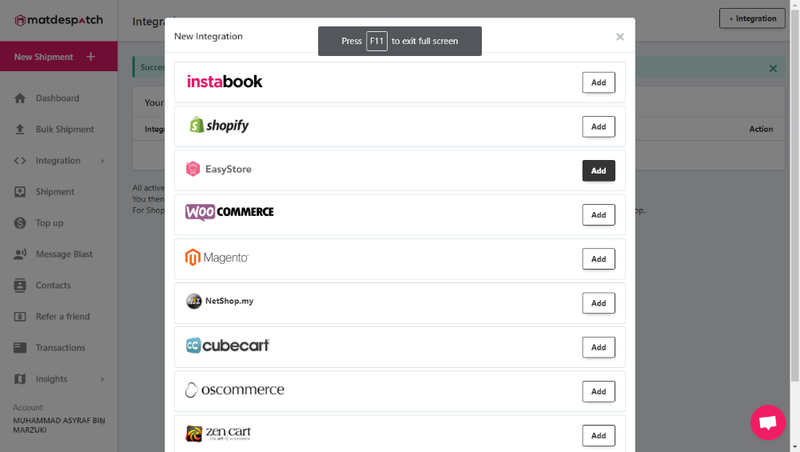 To access your EasyStore config, go to Integration > Setup and click on the Manage button.